The youth of our church participated in a 30 Hour Famine. For 30 hours, locked in the church overnight, the teens ate no food while they learned about hunger. A creation of the wonderful charity World Vision, the 30 hour limit allows participants to feel the effects of hunger, without endangering their bodies in the long term. This incredible educational experience inspired us and made us better understand the issue of global hunger. After eating their final meal, lunch at school, the teens gathered their sleeping bags and came to the host church First Presbyterian Church of Cranford. Once at the church, the students created the cardboard city, where they would be sleeping during the duration of the event. Some went with what we called the "Cardboard Corral," a large open space with cardboard walls and no ceiling. It was good for groups, but it did not protect from the rain. We discovered that single person shelters were the most structurally sound. One student spent a long time building hers, reinforcing it with tape and adding new layers of cardboard. She claimed to sleep comfortably, though others had their doubts. The cardboard city wasn't just fun. It gave the students a taste of what it's like to scrounge for scarce resources and what is necessary to survive out in the elements. Next was the "Blanket Fort,” similar to what we all created as kids. Using two chairs, they hung cardboard across it as a roof. Unfortunately, without walls, the structure was indefensible. Luckily, the gentlemen living inside created an assortment of booby traps in case anyone tried to sneak up on them. Next, each student was assigned a tribe, representing a nation with a current hunger problem. Our two tribes were Ghana and Mali. These tribes competed against each other in activities for rewards. In addition to a tribe, the students received a new identity. One student became Bintou from Mali. An orphan with no source of income, Bintou lived in a refugee camp. He suffers from malnourishment. Throughout the tribe activities, the students had to simulate the medical conditions of their identity. The student wore a heavy backpack to simulate how Bintou lacked the energy to move quickly. Other students had to simulate blindness, missing legs, and other conditions. How Does Hunger Affect You? 30 Hour Famine provided a number of videos about hunger around the world. Rather than just listing places where people went hungry or showing us footage meant to evoke sympathy, the videos approached hunger in a scientific way. Calories, vitamins, and minerals are needed to help our body function. Without the necessary nutrients, our bodies are unable to produce energy. Our muscles shrink, meaning they require even more energy to do the same things. Without energy, physical tasks are harder to perform. Also, a lack of food makes it hard to concentrate, meaning malnourished students do worse in school. This video helped illustrate the Cycle of Poverty. Getting an education can be a key to getting a better life, but it is not easy when child goes hungry and their brain doesn't have enough energy to process ideas. It's even more difficult for the child if their school is located several miles away. Many children don't have the energy to travel that far every day. After these lessons the teens were allowed to have free time. After 10 hours without food, one might expect them to spend it restfully. They opted for dodgeball. While the adults could do little more than watch, the children were-- literally-- bouncing off the walls. How Does It Feel to Wake Up Hungry? Everybody was slow to rise in the morning. The only calories allowed were water and juice. We were now more than 20 hours without food. Soccer is one of the most popular sports in the world. This can be attributed largely to the fact that it is so inexpensive to play. In fact, we learned how to make a do it yourself soccer ball using only the materials found in the cardboard city shelters. We first used plastic bags, but none of these balls had the right weight to them as they were all too light and soft. Then we tried wrapping them in duct tape. The ball became hard and heavy and it hurt our feet to kick. Wrapping them in twine gave the balls a little more bounce. Using all three techniques, layered one on top of the other, we succeed in building a soccer ball. With our new soccer ball, the teens played Crab soccer, requiring the players to be on their feet and hands at the same time, with torsos toward the ceiling. This was challenging, especially when most of our players suffered from other maladies from their new identities like partial blindness and broken legs. Even with all of these problems, they still played a close, hard fought game. Would You Want to Expend More Energy? Unbelievably enough, these kids still had energy approaching 24 hours without food. When they heard that there was a car wash across the street raising many for cancer research, they wanted to help. We also stationed ourselves on the corners, waving signs and calling out to drivers to let us wash their cars. This was incredibly energetic work, but the teens kept at it for hours, while the adults mostly sat down and watched. The people at the car wash were happy for more volunteers, doubling the speed at which the cars were washed. Of course, they had extra donuts for us if we wanted them. All of our teenagers declined, slowly, sadly, and with many longing looks. Why Does God Let People Go Hungry? During the 30 hours, the teenagers were also tasked with writing their experience in a journal. What they wrote surprised us in depth and anger. Almost about 4 or 3 hours left in this event of fasting. I feel hungry and so empty in my stomach. I don’t understand how so many innocent and grateful people there are in this world and they don’t have what they even need to survive. Lord, what is up with the world? Yes, everything has a purpose, everyone has a purpose BUT why do you put them through that path? To actually be hungry helped me learn how difficult life is for those who don’t have enough to eat. It’s hard to do anything to help yourself when you don’t have any energy. It’s hard to concentrate when all you can think about is the rumbling in your stomach. But also this experience raised questions for me about the nature of God. I’m hoping that I can use this experience to learn more about what God expects of us and how we can work toward his purpose. The teenagers nearly revolted when I read them the next Bible passage. "How can God say that? He isn't keeping the people who are starving!" "Why isn't He? Are they less deserving? Do they not pray or believe hard enough? " "It doesn't matter! He's supposed to help all His people. We're all God's children!" "What is our role here on Earth then?" And the teenagers stared. We're here to do God's work and clearly, freeing the hungry and helping the oppressed is part of His work. But how could they resolve all of the hunger in Africa? What could they do to educate all the children in Asia? What about the needy just in America? Or even just in New Jersey? So I asked them where to start. What's the first thing? "Okay, but that's not everything." "Volunteer to go over there." I then asked them all what they wanted to do for a career. One girl wanted to be a journalist. I asked if she would write stories about the Cycle of Poverty. Another wanted to be an accountant, at a big expensive company in New York. I asked if maybe every year, she could do the taxes for a deserving non-profit, free of charge. I asked a budding environmental lawyer, "Do you want to just help keep the rivers clean in rich neighborhoods, or do you want to help the pollution in poor countries?" God gives us all gifts. We can use them to enrich ourselves, or we can use them to make the world a better place. Even if we give only a portion of our talents to others, that's still important. Then we set out plates of fresh popcorn, reeking of butter and salt, and asked the students to write down all the ways they might help the hungry. It was hard for the adults to concentrate, it smelled so good. At the end, we allowed the students to choose whether to eat the popcorn or keep their fast. They all choose to keep the fast. How Does Time Pass When You're Hungry? We were scheduled to have a feast after a worship service in the sanctuary at 5. With 4 hours remaining, we had one more game to play, we had to break down our houses, and also set up the chairs for the feast. We estimated each activity would take about 20 minutes. All three took us the full 4 hours. We just had trouble moving. Except to tape ourselves in boxes, of course. This was a moment when we really began to comprehend what's it's like to be hungry. To be so hungry that accomplishing anything is a force of will, even getting out of the chair. Would You Fight for Food? Our two tribes were nearly even. We wanted to leave them with a real challenge. We went with the Food Grab. We blindfolded one member of each team. Between the two members, we put some food on the floor. With their teams' directions, they had to race to find the food. Does Anything Distract You While You're Eating? We don't have any pictures of the feast. Unfortunately, we were all so busy eating that nobody-- not a single one of us-- remembered to take pictures. 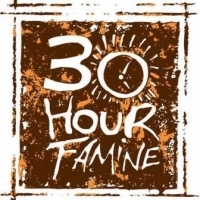 Why a 30 Hour Famine? While the feeling of being hungry was difficult, we were always having fun. All of the teens said they'd like to participate again-- and so did most of the adults. We learned that hunger is a real and complex issue in the world. The effects of hunger are felt quickly and effect necessary functions. While God has promised to take care of all us, we are all receive different gifts. 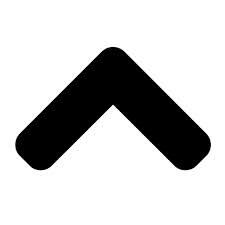 Those of us that have the gift of food and shelter have been tasked by God to help fulfill with helping those that are without. Sharing our gifts elevates all of us and is one of the most important charges we are given by God. Circa 1980 with a newly-ordained clergy (I was married to her) I participated as a senior-high leader in this 30-hour fast (it was for Church World Service and raised funds) First Presbyterian Church, New Vernon, NJ (Newton Presbytery). The 30 hours is tough, especially as I thought I was also getting (hunger) headaches.